Armenia. Almost always the last to release their song and this year was no exception. I think it’s hard to be the last one because there’s a danger where you have to compete with 42 other songs already released so, how’d we do? These are my own PERSONAL rankings of what I think of 2017’s Eurovision songs but I’m also going to make some bold predictions about the eventual fate of the song. These will probably be very wrong for a variety of reasons including I have no idea what almost half the artists sound like live or what type of staging and song changes could be made. There’s plenty of songs that have been let down by their staging (2016 Spain for example) so in the end they’re just guesses in the dark. Armenia is one of those countries that I am usually a really big fan of and I wait pretty eagerly every year to hear their song. Last year Armenia was my dark horse to win the whole contest but unfortunately on the final night their singer lost her voice and it crushed me even though she still achieved a great 7th place position. 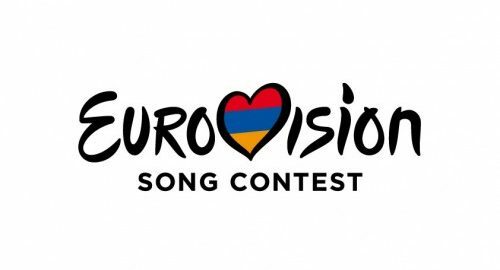 Only failing to qualify once in their 10 attempts Armenia has a solid record but with nothing rising to the top 3 this country can’t seem to achieve the greatness I feel for them in my heart. Despite their “hiccups” with Azerbaijan every year (including withdrawing from 2012 Eurovision in Baku), they stage a solid and fierce Eurovision entry every year and have managed to often come out with higher placements than Azerbaijan even. Their singers are almost always incredibly talented, their staging is usually really solid, and the songs they’ve sent in the past have been great in both variety and ability to blend styles together. Unfortunately Armenia also likes to be the last one to release their entry so I was waiting with pins and needles after the deadline passed to hear the song. It was kind of worth the wait but it wasn’t really what I expected. Especially after last years song I was anticipating a hyper modern song from them and I actually think I got my wish? Artsvik is from the song contest circuit. This 32 year old has participated on the Russian version of “The Voice” and of course Armenia’s song selection contest Depi Evratesil, other than that I couldn’t really find a ton of information about her. As per usual she was picked through the singer contest and then a team, in this case the same team behind Armenia’s 2014 and 2016 entries, wrote the song just for her. I think that method yields a better result overall and while I haven’t seen Artsvik preform this song live, watching her Depi Evratesil entries it’s pretty clear that she’s more than well equipped to sing “Fly With Me”. The first 30 seconds of the song start out alright, we get a sort of piano solo ballad lead in. I wanted this song to explode in to a dance number though it never does. I know I have a strong bias towards dance numbers but this song feels like holding your breath. You’re waiting for something to happen but all that happens at the end is a short exhale, it’s not fulfilling. The song is very modern and somewhat cool and it gets better upon a few extra listens but that’s not good for Eurovision. A lot of people will be tuning in to this song for the first time in the semi final and the song is too complicated to be really enjoyed right off the bat and without a solid hook that can grab you it easily fades out of your mind. After about 10 listens I started to get the flavor of all the layers and could really appreciate the craft of the song. I think the slowness of the song, the long vocal less bridge, and the general aura of understatement that the song employs is going to mean this song is going to have to rely on staging to catch people. The song also has a very abrupt end which catches me off guard sometimes because I think it is just about to build to something else but then just stops. That’s what keeps me from putting this song any higher and casting some serious doubts on qualification. The staging in the video is great. We’re very likely going to get something that is at least in the ballpark. The songs modern and traditional sound blend might not take full advantage of the chanting and embrace the ancient roots of Armenia but the dance does. The movements and costumes (aside from Artsvik’s Melodifestivalen symbol dress) definitely go a long way in evoking a traditional feeling but updated to a contemporary time. The moves are so easy and symmetrically glide along the beat of the song I found myself wanting to move along with them by the second or third time I watched the video. I found Artvisk really graceful but her background dancers were often much more interesting than her so they’re going to have to be careful about the stage during Eurovision to make sure that she’s the highlight as her dress and costume in the video don’t do enough to make her stand out. I like the song a lot itself, the lyrics aren’t very complex but they also don’t make me cringe so that’s a huge plus for them. My real hope is that the chanting is more incorporated during Eurovision as it felt like it was breathing some life in to this song and that the staging remains strong and interesting. While I don’t know how many people are going to want to join Armenia in flying, I’m certainly along for the ride.